The words are dry. But I know the feelings that lay behind them. Agony, fear, desperation―just to name a few. Only three short months since her husband’s passing, she’s pulling the plug on his dream. But I don’t blame her. In fact, I think she’s incredibly brave. Twenty-two people will walk, over the next three months. Some have worked here from the beginning, twenty-five years ago. A few of the lucky ones will leave early, accepting job offers. Others will stay until they’re told to go, and then begin the process of job hunting and filing for unemployment. “It was good while it lasted,” I hear them say. But the truth is, most of its years were difficult, seat-of-the-pants years. Years of barely making ends meet, interspersed with a couple of really good years when profit was high and so were the taxes. Don’t get me started on taxes. Thinking about starting a business? Be sure to plan on high taxes. Small businesses get hit hard. In a few short weeks, the machinery in the shop will be silent. 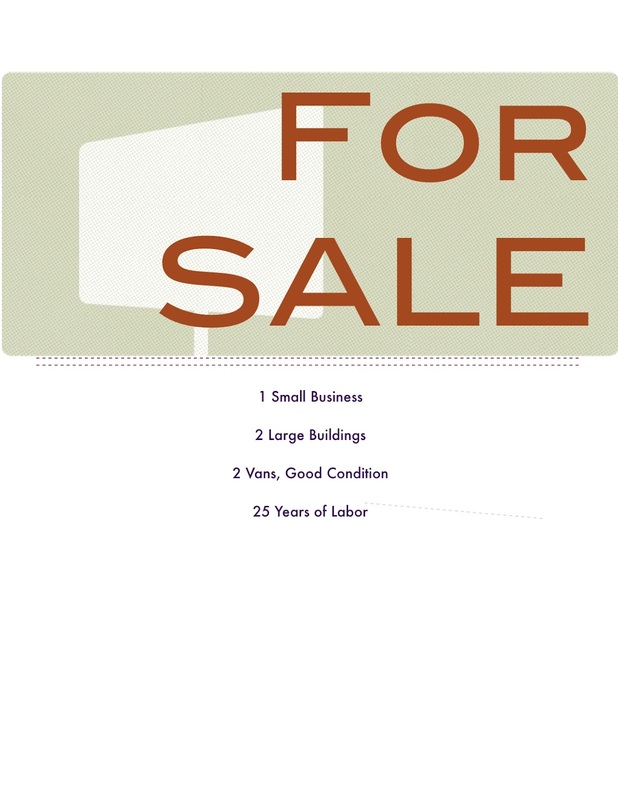 A “For Sale” sign will go up on the property. I hope it won’t be there long. There’s a history to the place. It needs to live on and prosper. The right people can make it happen.